FaMESHed Go launched in April 2018 and is established by the same team that you more than likely know from the monthly event FaMESHed. In contrast to that venue based event, FaMESHed Go focuses on an aspect of SL shopping that has been neglected for far too long: mainstore shopping. Get the FaMESHed Go HUD via their marketplace, their update group or various other sources. Attach the HUD and allow it to teleport you. Click “ENTER” to reveal a catalog of the respective round. This catalog will consist out of various pages, each of which will display several ads. Click on an ad to enlarge it and finally, click the “TELEPORT” button to be teleported to the vendor of the displayed item. 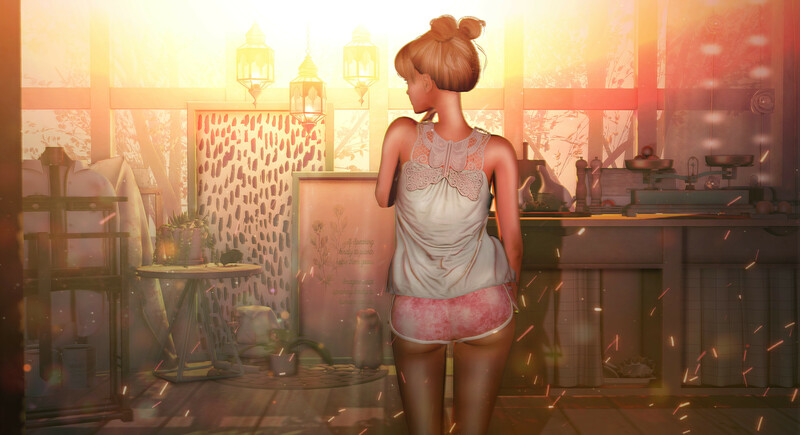 Next to this refreshing take on event shopping, FaMESHed Go offers even more fun and goodies. Namely, each purchase you make will earn you points that allow you to redeem different prizes. Single items will earn you 10 – 20 points whereas fatpacks will earn you 50 – 75 points. You can refer to your HUD to see your total amount of points. To redeem your prize, head on over to the Go HQ and see what prizes are available. The prize room will be updated every month, meaning that older prizes will always be available to redeem at a later point. FaMESHed Go opens on the 15th of every month and closes on the 10th. For more information, check out their website. Thank you darling, you too!